What's one of the single most important points to focus on for short-range and long-term success in your online marketing? Giving your customers a smooth, enjoyable buying experience, followed by great customer service after the sale, combined with ethical, low-pressure marketing to your current customer base with the goal of making add-on and repeat sales of products that will add strong value to their lives can help pave the way for long-term profitability. On the other hand, repeated poor customer experience during and after the sale and a near-sighted focus on first time sales only, at the expense of repeat sales, can put you out of business. So I think you'll agree with me it's critical you focus on providing your customers with a great experience before, during and after the sale. Let's talk about how you can do that. 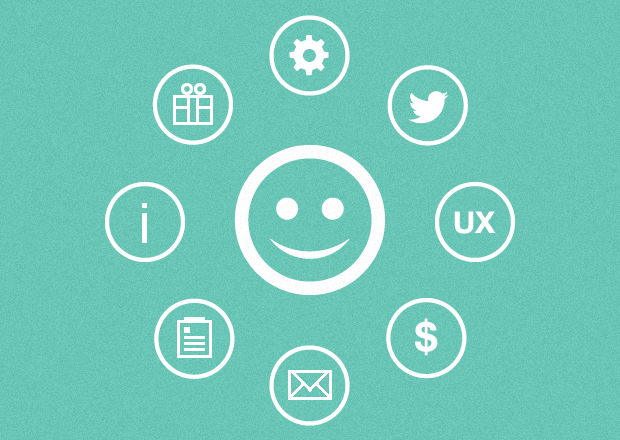 We'll discuss some customer experience “best practices” as well as some missteps to avoid. In this age of social media, hordes of people, including many of your customers, go to their favorite online social outlets and talk... a lot! 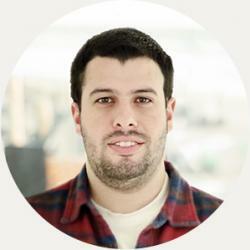 They talk about a myriad of topics, including products they buy online. They also talk about their customer experience related to the purchase and use of those products. If you provide a great customer experience, not only will you have happy customers, they'll tell their friends and social media connections. You could very well wind up with a flood of potential buyers eager to know more about you and predisposed to become your customer because of the social proof of the “brand evangelists” - i.e. - your loyal current customers who told them how wonderful it is to do business with you. How cool is that?! If you burden your customers with an unpleasant customer experience...? 89% of buyers,according to one survey, switched to a competing company after a poor customer experience with another one. In marketing, whether online or offline, relevance is your friend. If your customers view your product or service to be relevant to them and their needs, if they believe you can offer them a valuable solution to a painful problem, their perception of the customer experience they have with you will skyrocket. So do what you can to be perceived by them as highly relevant. Understand what they need and want and offer it to them. Hint: Do surveys! Don't try to sell them on something they don't want and are highly unlikely to buy. Let's illustrate our point with an “offline” sales example that's relevant to the online marketing world: say you're selling cars. A “soccer mom” in her late 30s with two kids, ages 7 and 10 walks into your dealership and is in the market for a “family friendly” car. She wants a safe, reliable SUV or minivan. You've got plenty of those on the dealership lot. But, you are focused on the kind of car you like and would prefer to drive, not on what's important to her (BIG MISTAKE!). You try to sell her on a cool, fast, high performance sports car or convertible. She protests that she wants and needs an SUV or minivan, but you don't listen. Finally, she walks out in frustration and buys what she wants from another dealership. Her opinion of you, your dealership and the customer experience you just provided is pretty dismal right now. But it could have been so much different. If you had forgotten about what you like, paid attention to her, asked her relevant questions and offered her what she wanted, you would both have enjoyed a classic win-win situation. You would have won because you would have made the sale and begun a relationship with a new customer that could lead to more sales in the future. She would have won because her need for safe, reliable, roomy transportation for her and her family would have been met. So whether you are marketing online or offline, always seek to be perceived as relevant to your target market. This is one of the cornerstones of providing a great customer experience, in my opinion. Speaking of factors critical for building online marketing relevance, your copywriting and content play a pivotal role in the customer experience you offer your potential buyers. Another important part of your online marketing is obviously your website. As is the case with your copywriting and content marketing, your website can also win you positive customer experience points, or it can put you “in the doghouse”. When reviewing any part of your online marketing to make the determination of the experience you are giving your customer, put yourself in his shoes. Try to think like he does. Imagine you are the customer, and be honest with yourself. Do you honestly feel you are giving him a great customer experience? Do your pages load fast or slow? Are your graphics clean and simple or confusing and cluttered? Is your copy and content focused on the reader and his problem and how you can help him, not on your company or product? Is your site super easy to navigate? Is your contact information easily accessible? To submit a message through your contact form, do site visitors have to “jump through hoops” by filling out a bunch of fields that require information they don't want to give you? In order to join your email list, do you require more than just their email address and first name(doing so may make your email signup conversion rate plummet)? Are your images relevant (there's that word again) to your content? Do you use custom, high quality images that aid in the sales process, or are you using cheap, generic stock photos as space fillers? After your customer buys, are you sending him a “fulfillment” email thanking him for his purchase, a message that also shows him how to enjoy maximum benefit from your product? Doing so demonstrates to him that you care about his satisfaction; this could pave the way for future sales. At the point of sale, when your customer has just bought from you and is still in buying mode, are you offering add-on items? This could increase his level of satisfaction, not doing this could cause his customer experience to be far less than optimal. Like we discussed earlier, you need to evaluate every part of your online marketing process to determine what kind of customer experience you give. Customer experience counts post-sale and also pre-sale. As we've often said on this blog, the online marketing process is fragile. If buying from you is hard work, your prospects won't do it; they'll quit on you and go to one of your competitors. If they have a negative view of your pre-sale customer experience, your sales will plummet. Do your very best to give them a smooth, pleasant customer experience before and after the sale. Nowhere in your online marketing is this more important than with your landing pages. 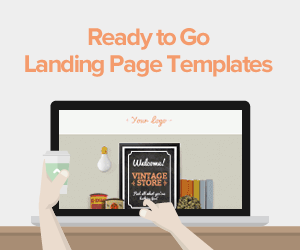 A well-presented landing page can help you give your customer a great experience. 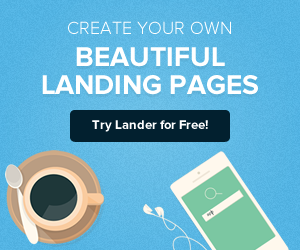 And no landing page templates work harder to give you and your buyers a first-rate customer experience than Lander. help make your job as an online marketer trying to convert landing page visitors into buyers so much easier. 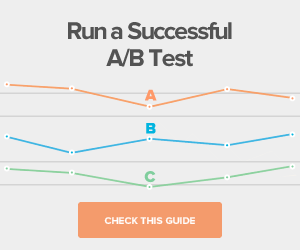 Yes, Lander has been engineered to help you enjoy a higher conversion rate! And guess what? 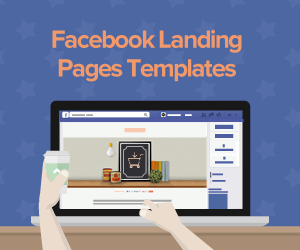 Here's something else about Lander we're confident you will love: You can try any of our landing page templates free of charge and with zero obligation! Got questions about Lander and how it can help you launch your online marketing campaigns to new heights? We have answers,and we'd love to visit with you, so contact us today!